Today for Write On, we speak with Elgon Williams, author of Fried Windows (In a Light White Sauce) and the just released Become Thuperman. Elgon is also a publicist with Pandamoon Publishing and he was kind enough to take a few moments from his hectic book-release schedule to give us his insights into the best way to market your book. Enjoy! As a publicist for Pandamoon Publishing, what do you think is the biggest change occurring in the marketing of books? The use of social media versus more traditional advertising and marketing vehicles is a key differences in the marketing of small publisher releases as well as self-published books. Some of this is budget related. For example, traditional publishers take out full page ads in the Sunday Editions of major market newspapers to announce book launches. Those usually accompany a book review. The cost of such marketing is astronomical. Another key point is that traditional publishers focus on the first 30 to 90 days of a book’s life and withdraw direct marketing support afterward. Small publishers view book promotion as a longer term effort and a book’s life spanning years not months. Since the advent of Amazon the real growth in publishing has come from small publishers and independent authors. 2. How have you used the changing marketing landscape to promote Pandamoon books, including your own novels? I’ve found using a combination of social media to be most effective. One cannot be successful focusing on simply one medium. Also, each medium has its challenges and limitations. Twitter is much more effective in announcing events and promoting other people’s work. Self-promotion on Twitter is largely ignored. Maybe that’s because of the volume of people doing it. But tweeting and retweeting other author’s messages gains attention. Facebook is better for selling. Also there isn’t a 140 character limit to the message. Having said that, messages still need to be concise. No one except die hard friends reads long posts. Google + has been effective for some promotions. Instagram and Pinterest are also effective in promoting through images like book covers. 3. Do you see advantages for indie authors in today’s market, compared to publishing before social media became so accessible? Twenty years ago getting a book published was much more difficult. I received rejections that were obviously generic form letters. In other words, the major publishers were inundated with so many submissions they could not possibly look at all of them. The advent of computers and desktop publishing software including word processing software meant that almost anyone who wanted to put for the effort and devote the necessary time could create a manuscript. There were small publishers back then. Some were vanity presses. But authors who chose to use those risked their books carrying that stigma. As self-publishing became more prevalent small publishers gained acceptance. Quality of editing is the indispensable difference between many self-published books and those from small publishers. It is something Pandamoon has always taken very seriously. 4. If an author could do one thing to help promote their writing, what would you recommend they do? Authors must first set goals and work their local market with book signing events and public appearances. They must also think outside of the box for venues. For example, having a book signing in a local gift shop, public library works just as well as a small bookstore. Although getting books on the shelves of major book retailers may be a goal it is next to impossible without establishing a following or readers. Shelf space is granted for books that the retailer expects to sell. So, if you can demonstrate demand a major chain may carry your book locally. Also the store manager has a great deal of discretion for supporting local authors. Otherwise, the single most important thing an author can do is brand building on social media. You don’t need to wait until a book is launched to build a following and create interest in your book. Submit other work or excerpts from your book to magazines. Participate in writer’s groups. Anything you can do to build your credibility as an author adds to your brand. Once brand is established locally, an author can branch out to regional and eventually national and international marketing. 5. What do you feel is the most common mistake authors make when promoting their work? Trying to do everything alone is the biggest mistake. An author needs to create a street team to channel promotional messages to the public. Locally, a street team can consist of friends and family. But using social media the street team can expand nationally and internationally. To a large extend building such a team will require the author support other authors. But even such efforts builds brand and credibility. Posting reviews and commenting on Tweets about books goes far in establishing an author’s authority in a genre. 6. Given your own background in marketing, what are some techniques you’ve honed in your career that have fit well with the publishing industry? Years ago, my first job after receiving my degree was writing editorial style advertising copy for a small agency. The ads were placed in promotional pages published weekly in local newspapers. I proved to have a particular knack for writing short blurbs. Writing a pitch with Twitter’s 140 character limit isn’t all that different. The same rules apply, really. You write for an intended audience and fit as much information as possible into a given space. Every word in a pitch becomes important. I suppose there is a sort of promotional poetry about the process, using an economy of words to convey a message. 7/ Where do you think book marketing is heading in the near (or distant) future? Near term, the Big 5 publishing houses aren’t going anywhere. I mean that in two ways. They will continue to dominate their portion of the book market, though it is shrinking. The reason is that the infrastructure that is still used was designed to support their model of distribution and marketing. It is also exclusive and expensive by its nature, preventing small publishers and independent authors from direct competition. In the longer term, though, the influence of the Big 5 over the industry will continue to decline. It’s simple business and a matter of survival. Once the demand for small publisher and independent books exceeds that for the major houses’ offerings, the model will change significantly. And I believe that shift isn’t all that far into the future. If you look at the present book market, it is evolving toward a more Internet-based sales and distribution paradigm. This is happening around the world, though perhaps not as rapidly as it is occurring in the US. 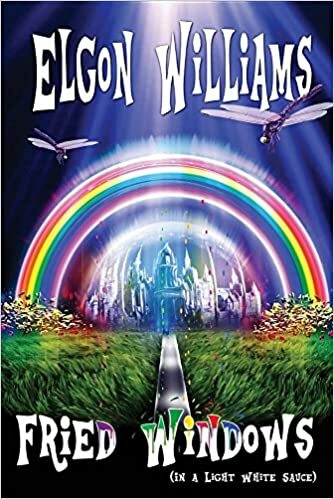 About Elgon Williams: Born in Springfield, Ohio, Elgon Williams grew up on a farm near the town of South Charleston and the village of Selma in rural southeastern Clark County, “…about two miles from nowhere and between cornfields.” Williams graduated from Shawnee High School in 1974. In the fall of that year he began studies at Purdue University in West Lafayette, Indiana, receiving a BA in Mass Communication in 1978. Later, in 1981 he received a degree in Marketing Administration from The University of Texas at Austin. In 1983 he joined the US Air Force and studied Chinese Mandarin at the Defense Language Institute at the Presidio of Monterey in California. Upon completion of military training he spent two years in the Far East. Shortly after returning home Williams left the military and began a long career in retail management. Periodically, he also served as a vendor advocate for a national marketing firm representing computer technology and software companies. He has also worked in advertising, sales and was a computer technician and technology consultant. Although his early writing is considered sci-fi and fantasy, his later work defies any single genre. For example, Fried Windows (In a Light White Sauce) is a combination of urban fantasy, science fiction and spy thriller. 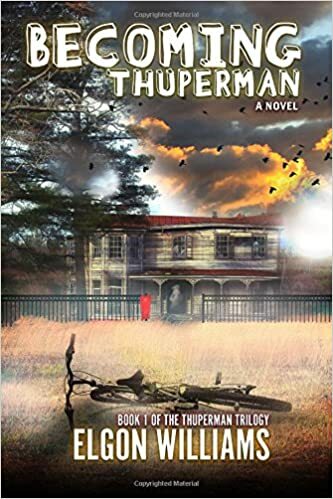 New projects include the just-released Becoming Thuperman, a story featuring budding superheroes, and the long anticipated epic fantasy Wolfcat Chronicles, coming from Pandamoon Publishing.